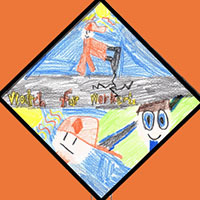 Over 120 students from schools throughout Kent County participated in the second annual Work Zone Safety Poster Contest, with nine artists being honored for their winning entries. 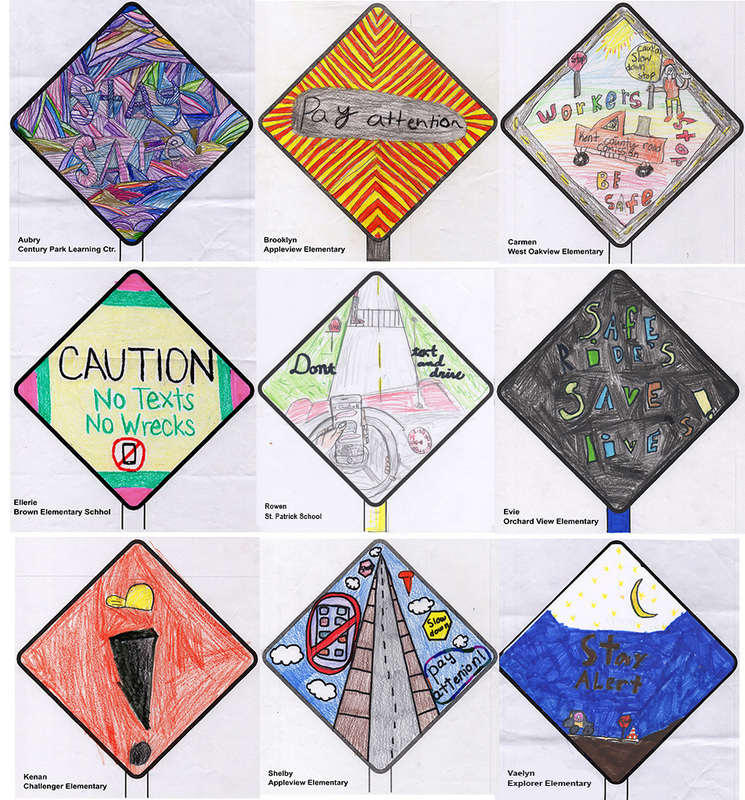 Sponsored by the Kent County Road Commission (KCRC) and the City of Kentwood, the contest invited third-grade students to design a “caution sign” focusing on one of three safety tips for driving through a work zone. Avoid distractions. Dedicate your full attention to driving. Avoid using a phone or changing the radio station. Pay attention to directions. Follow directions from work zone flaggers and pay attention to warnings posted on work zone signs. Keep an eye out. Watch for construction workers and their equipment. Also, stay alert to the vehicles around you. Student submissions were judged on creativity, originality, and their ability to strongly convey a message. Out of 127 submissions received, nine winning entries were selected. These designs will be used on social media posts and during public events to promote work zone safety. “The term, ‘backseat driver,’ often conjures a negative connotation but to us, it confirms that young passengers can serve as important work zone awareness advocates,” said Steve Warren, KCRC’s Managing Director. A display exhibiting all of the contest’s entries was showcased at the 2018 APWA Family Open House on May 16 at the Kentwood Public Works building. Six of the nine winners were in attendance to receive their awards, which included ten-inch by ten-inch metal replicas of their designs. In addition, each student who participated in the contest received a certificate of appreciation for helping to educate drivers about safe practices when driving through a work zone. 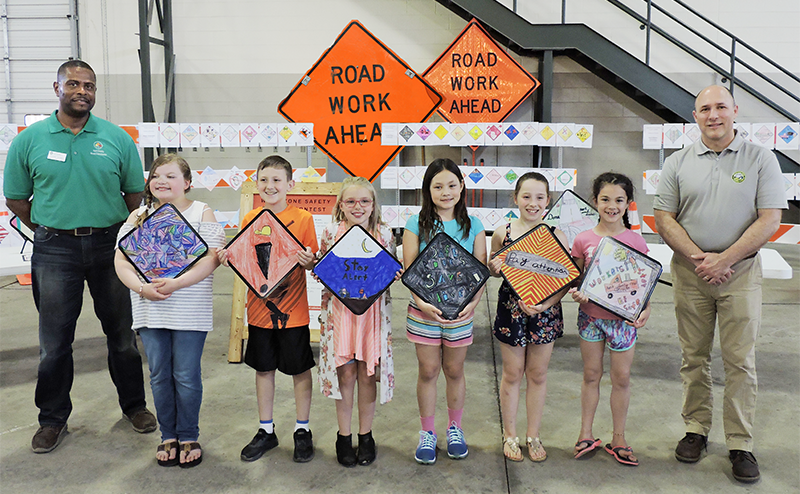 “Students learned about work zone safety in the classroom; now they can share what they learned during their summer travels and help to keep everyone safe through this season’s construction zones,” said Warren.